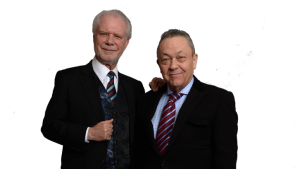 West Ham co owner David Sullivan is delighted with a Third Round FA Cup draw against the club he and David Gold formerly owned – Birmingham City. The two were in charge at St Andrew’s for 16 years before selling out to Hong Kong businessman Carson Yeung and after a short break from the game took charge of the Irons. Manager Gary Monk’s ninth placed Championship outfit will be a tough outing for the Hammers but it has to be a game they would expect to win as they bid to end the 37 year drought on trophies. And speaking to Claret and Hugh, Sullivan said: “We look forward to welcoming our old friends from Birmingham, it should be a great game. I’m glad we are at home as St Andrews is a very daunting place to go for away teams, so we do not want a draw !